Kids that feel close to one or more parents tend to do better in life. Listen to your teenager ... when they are ready to talk. Be open and tell the truth. Whakarongo – tune in. Think of them. Kids that feel close to one or more parents tend to do better in life. It is natural for kids to communicate less with their parents during their teenage years. This is part of growing up. However, communication is one of your most important tools and you just need to look for those moments of contact when you are both there with each other. Take the time to understand. It might not always be convenient – but moments of contact are much more important during the teenage years. Being approachable is the key even if it is 1am and you go to bed at 10pm. Try to create situations which make talking easier (driving your teenager to school, having them help you with household tasks). You have to be physically close to your kids for communication to occur. Whenever possible, you should try to do things with them, rather than separately. Although teens may not always accept them, provide opportunities for them to do things with you – but don't be too disappointed if it doesn't always work out. Just keep at it! Good communication requires not only good listening – but also knowing the right way to ask questions. You will learn more – and show that you care more - if you ask questions that need more than 'yes' or 'no' answers. Listening is the key to working out what is happening. Comment on what you think you heard. "It sounds like . . ." or "So what you're saying is…." are good ways to begin. If your teenager agrees that what you heard is what they said and they have asked for an answer, give one. If they haven't asked you a question, tell them that you understand. If you did not understand what was said, ask your teen to clarify what they are trying to tell you and repeat the last 2 steps until you do. 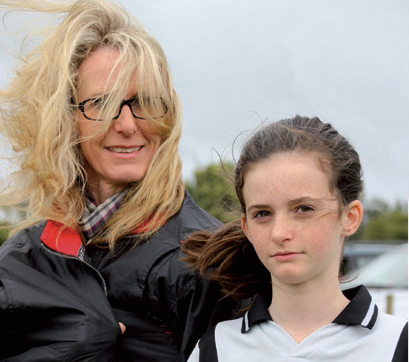 The fact that you understand how your kids feel does not necessarily mean that you agree with their behaviour. Show that you accept your teenager as they are, regardless of what has or hasn't been done. It means that you care about their feelings! Be sure most of what you say is constructive and positive. Don't criticise your teenager, even when he does something wrong. It's the behaviour that is wrong or bad, not your teenager. It is not what you say, but how you say it. Constant nagging of teenagers can be a sure way to put them off wanting to talk with you. Be sure most of what you say is constructive and positive. Rather than reminding them of mistakes, failures, or something they forgot to do, stick with the positive stuff and talk about their successes, accomplishments, and interests. Praise and recognise appropriate behaviour in order to encourage more of that. When you need to comment, focus on the behaviour or the actions, not your teenager personally. Not ….. "You're such a lazy kid – you never do anything around the house". Try …. "I'd really appreciate you giving me a hand with the cleaning today". "Why aren't you up? Are you going to sleep all day? Who said you could use that? Clean the dishes off the table. Hurry up and get dressed. Why did you put that on? Turn down the radio." We may think that such messages teach our kids to be responsible. But when most of the messages they receive are like these, they may end up feeling dumb and unloved. Whakamihia – praise. Help them to be good. Smile. Teenagers are more likely to respond better to positive comments. Sometimes a nod, a hug, or simply a step toward them is all that is needed to show you understand. "Good morning. Thanks for hanging up your clothes. Thanks for washing your plate. I’m glad you got yourself up and dressed. Will you help me please?" Teenagers want the truth so don't try to 'protect' them. Tell them what you think - and why. Be honest. Your teens may not agree with you or like what you say but they should respect you. And if you are honest with them, hopefully, they will be honest with you. Work to create a feeling of trust in your home. When your teenager hits a problem, you want them to be able to be open and trust that they can discuss something with you without feeling as though they are being 'judged'. The more you talk and listen to your teenager the less likelihood there is of a falling out between the two of you. Kia marama – let there be light. Explain and make it clear. 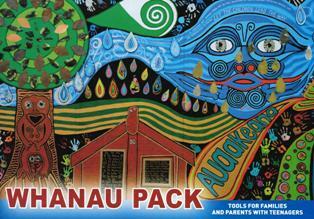 The Paediatric Society of New Zealand and Starship Foundation are very grateful to Northland District Health Board (NDHB) for permission to reproduce this content from the Whānau pack: Tools for families and parents with teenagers (PDF, 4.16MB). NDHB own the copyright in this material and it must not be copied or reproduced except as expressly permitted by NDHB. This page last reviewed 01 March 2018.